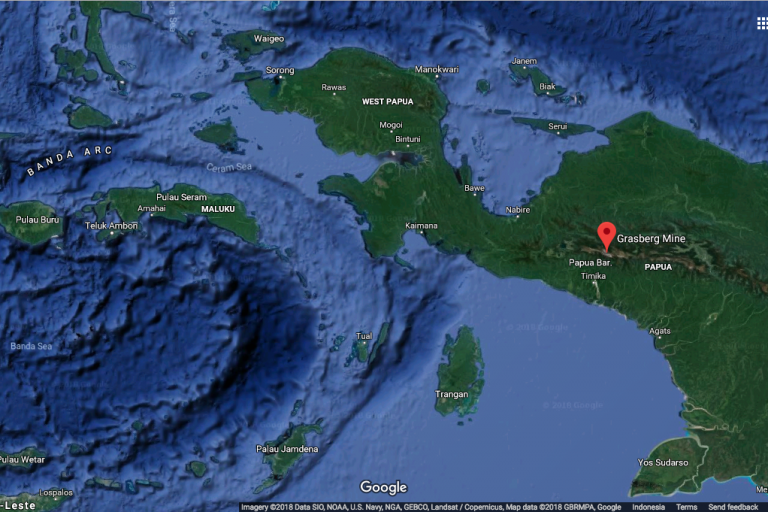 Officials from the Indonesian government and Freeport-McMoRan announce the acquisition deal for PT Freeport Indonesia. President Joko Widodo and Freeport CEO Richard Adkerson are seen shaking hands. 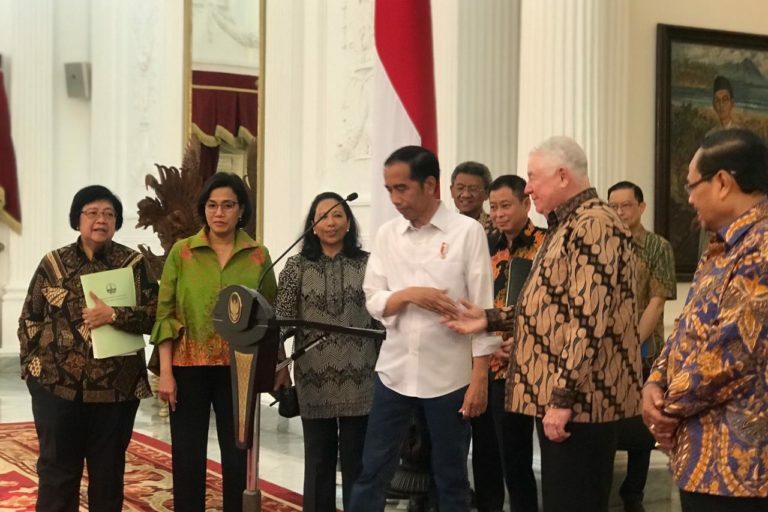 Image courtesy of the Indonesian Cabinet Secretariat. 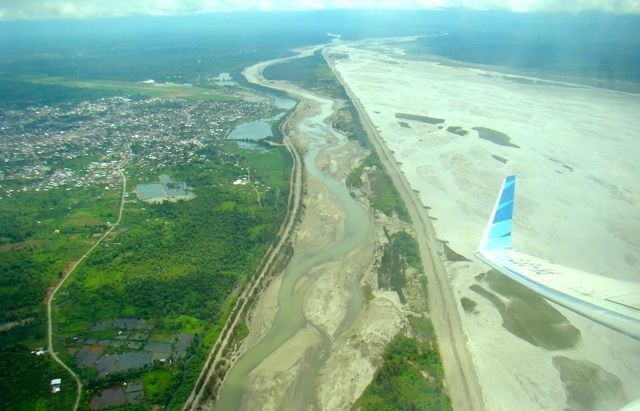 A river in which PT Freeport Indonesia dumps some of the mining waste from its Grasberg site in Papua. Image courtesy of Yoga Pribadi/Mongabay Indonesia. 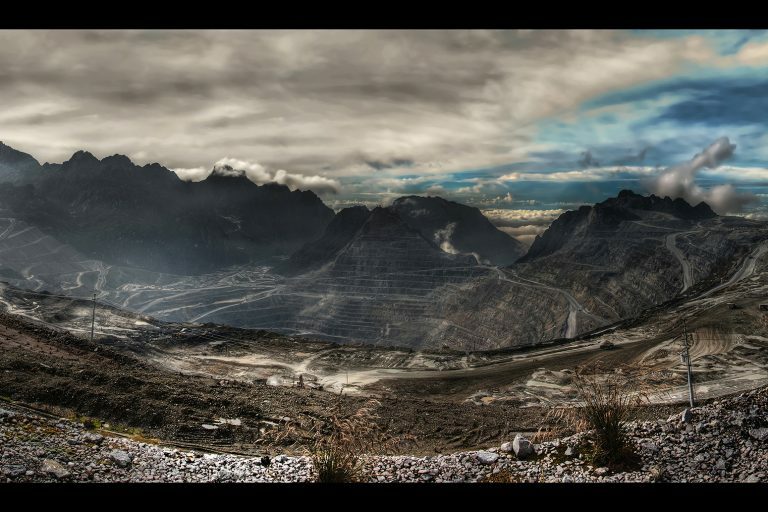 Panoramic view of the Grasberg gold and copper mine in Indonesian Papua on the island of New Guinea. Image by Richard Jones/Flickr.